The Election Commission of India (ECI) on Sunday announced the election schedule for the general elections to the 17th Lok Sabha Election, 2019. In Manipur, the polling will be held in two phases. In this connection, a press meet was held at the conference hall of the chief electoral officer, Lamphelpat on Sunday. 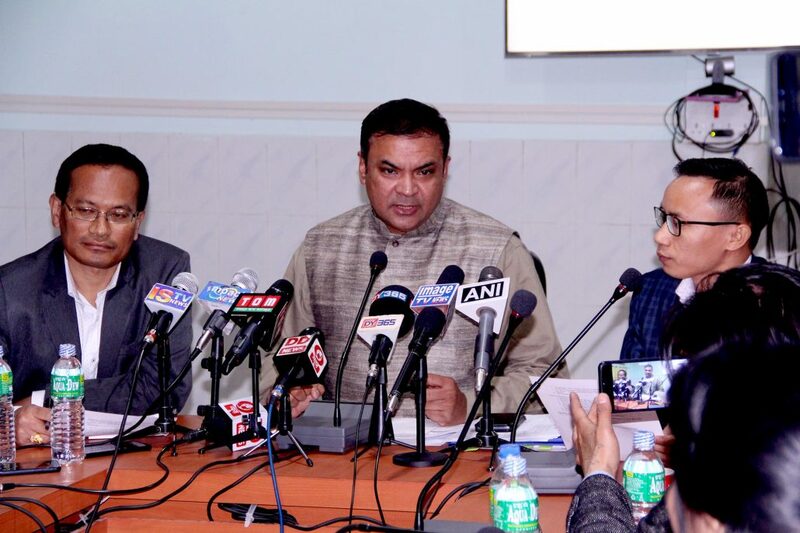 Briefing the media persons, P K Singh, chief electoral officer, Manipur said that with the announcement of the election schedule by the ECI, the model code of conduct comes into effect immediately and will be applicable throughout the country in respect of all candidates, political parties, the state and the union governments. All intending candidates, political parties, the state and the union government etc, are, therefore, directed to comply strictly with the model code of conduct with immediate effect till the election process is completed. For the first Phase, 2-Outer Manipur (ST) Parliamentary Constituency, the issue of notification will be on March 18, while the last date of filing nominations on March 25. Scrutiny of nominations on March 26 and last date of withdrawal of candidature on March 28. For the 1-Inner Manipur Parliamentary Constituency, the polling will be held in the second phase and the issue of notification will be on March 19. The last date of filing nominations is March 26, while scrutiny of nominations will be held on March 27 and last date of withdrawal of candidature is on March next. The election process shall be completed for both the constituencies on 27th May, 2019 (Monday) and Date of Poll is on 18th April, 2019 (Thursday) for the Inner Parliamentary Constituency and 11th April, 2019 (Thursday) for the Outer Parliamentary Constituency. Counting of Votes is on 23rd May, 2019 (Thursday) for both Inner and Outer Parliamentary Constituencies, he added. He further said that with the announcement of election schedule, deletion and correction process will be stopped but addition will continue upto nine days till last day of nomination, that is March 28 and 29 next for the inner and outer parliamentary constituencies. Stating that the ECI appreciated both the print and electronic media which has been the strongest allies, the CEO urged everybody to abide by the model code of conduct for a proper and good reporting by the media that can bring a robust free and fair election and request both the media and even people writing in the social media. He also said that regular meeting with the DEOs will be carried out and every day press releases will be sent out and there will be frequent meetings. Detailed information related to security etc, will be given in the next press meet. For initial area operation 30 companies of central security forces – six from CRPF, 13 BSF and two from RPF and remaining from state force and more will be coming. There will be a meeting in the next week with the paramilitary, Army and Assam Rifle seeking their co-operation for shielding the international border areas for a free and fair poll.